When starting your photography journey, Canon is the perfect place to begin. Whether you’re taking photos as a hobby or profession, our pre-owned range is an ideal way to save money. Professional photographers often update their equipment with the latest models on the market. This means lots of cameras are traded in to our stores across North West England. All pre-owned cameras, lenses and photography accessories featured on our website are in top condition. Buy your second-hand Canon DSLR, lens or compact system camera here. DLSRs like the Canon EOS 5D Mark II still have their place in the photography market. With outstanding resolution, high ISO performance and incredible ease of use, the 5D is great for beginners. Shoot stills or full HD videos whatever the occasion. From portraits and landscapes, to event photography and movie masterpieces – our second-hand Canon 5D is a brilliant place to start. Equally the Canon 7D is favoured by many professionals. Enjoy top-level image quality and functionality without the price tag. Whether you’re shooting portraits, wildlife or weddings, you need the right lens to suit the situation. Designed to meet the needs of professionals and amateurs, Canon lenses offers high-speed autofocus, optimised lens coatings and a highly resistant design. 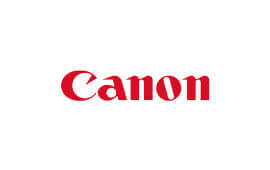 As experts in all aspects of photography, with our superb range you can buy your second-hand Canon lens in confidence. From speedlight flashes like the Canon Macro Twinlite MT24 to wireless file transmitters and extension leads for film remotes – our pre-owned accessories range is updated regularly with the latest trade-ins. Can’t find what you’re looking for? Contact our specialist team on 01772 252188 or pop into one of our stores for help and advice.